Do you find yourself unable to function at the level you used to or at the level you wish to? Stress may be interfering with your life. Do you find yourself worrying, feeling physical (muscle) tension, have rapid heart rate or do a lot of “what-if-ing” or postponing work because you feel overwhelmed? If you say "yes" to both, then you need to manage your stress and inject a suitable wellness system, else, see a doctor. Completely banishing stress from your life is inevitable. I also speak for my self. As I consistently try my hardest and seek new endeavors, I naturally feel challenged and most often even stressed. Though I know this is all part of personal growth, but sometimes stress threatens to overwhelm me. Fortunately, there are steps we can take to minimize its negative toll, and to prevent it from getting a grip on us in the first place. One best suggestion I could give is to have a regular relaxation schedule, such as enjoying an herbal infusion drink, freshly squeezed juices and massages and facials. What if I tell you that there is a retreat hidden in the concrete jungle, also known as Ayala, Makati? One can find recoil from the daily grind and be feted by a number of options of unique spa treatments - from massages, spa facials and body scrubs. Isis Wellness and Spa is a new place slowly getting the words out there from their fresh batch of discerning spa enthusiasts. Great care has been taken to provide a profound experience -- where the senses are drawn inward through the right blend of oils, freshly prepared natural ingredients, the unmistakable healing touch and service with a soul. These are the fine details that allow each moment to gently unfold and deliver one to wellness. How do I know? Well, not only is this place owned by a couple friend of mine who exemplify passion. They are professionally known to provide utmost service in the field they have worked on for years. 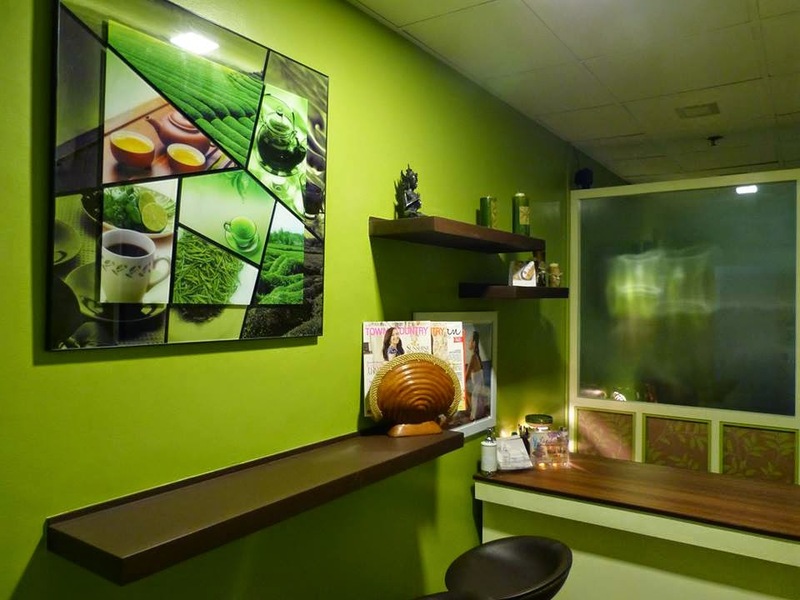 Isis Wellness and Spa is inside Prince Plaza 1 Condominium, which is just across Greenbelt 5 along Legazpi St., Makati. The mood of Isis is one of tranquility, remoteness and essentially all-natural, earth-tones. The green walls, dark wood fixtures and some memoirs of their Asian trips all weave in to exude an environment that is soothing. The spa embraces a holistic approach to physical and spiritual well-being with an extensive treatment menu that was developed from years of experience working from the lowliest massage services to the highest 5-star hotel clienteles, which includes sheikhs and Hollywood celebs. The spa uses only non-comedogenic products made up of all-natural botanicals with no perfumes, dyes, alcohol or any other elements. For facial spa treatments, they use the all-natural Pevonia products which contain no chemicals, ensuring the purity of the product. I've known Merna Brazil-Derouet, one of the spa owner, since we had our second child (now we had four, and that kid is now in college). I totally swear by her healing touch, not the way an "albularyo" or folk healer does it, but by how she have managed to effectuate a craft that not too many would persevere. Every time I would have strained muscles, back pains, sprains and of course, the dreaded "lamig," she would be the only person I can count on. Not that I haven't tried going to other spas and therapists, I actually have tried quite a few, but most of them come short of the therapy I needed. I'm so happy for Merna and Didier Derouet, now that they have finally opened up a new concept wellness venue where they try to cater to all the senses for a total wellness experience. Isis' door barely opened last Saturday, with a simple dedication and prayer, and a sampling of what the couple offers. Merna certainly have her hands full with the admin work and the whole facilitation, including training the therapists. Didier, on the other end is busy with dishing up tea infusion and refreshing concoctions paired to every pampering need. He just happened to be one of the best pastry chef I know, with years of expertise and Fairmonts and Raffles hotel have been on his background's list. After the short Biblical impartation of the business, the guests were served with cocktails. Upon every guests' arrival, welcome refreshments will be served. We had a sampling of that on the opening. What we all thought as Sprite or champagne was a glass of lemongrass infused sparkling water. At the end of the therapy, you can choose to have hot tea or a cold shot of their freshly juiced. That was me and their pastor friend at the back, both of us had one hour of rejuvenating Foot Reflexology. The room, btw, was dimly lit but they still had to put soothing lavander-scented eye pillows. Time for me to get a shut-eye, which I don't normally do in the afternoon. The aroma, the background music and the strokes from the hands of my therapist, blended so well to induce sleep. After my treatment, I was offered tea and I never say no to hot teas, and together with that to shortly end our snack, we were served with fresh fruit salad. I'm officially making Isis my retreat hub. I also had tried one of their Facial spa and will yet to write about them and how Pevonia products might replace my daily facial cleaning regimen. For now, I'll be relying with Isis' regular facial pampering that's not evasive and no more tears, just cleansed, supple and young-looking skin. It's now your turn, they are open everyday from 10 am to 8 pm. It is best to call them at 0921 572 8408 to reserve your preferred time but they do welcome walk ins. 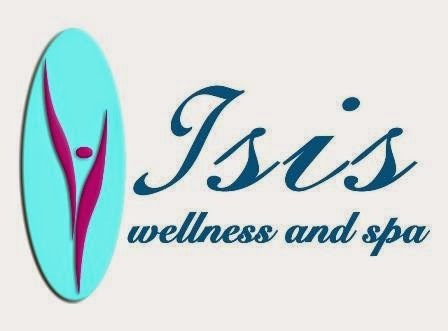 For more inquiries like their Facebook page- ISIS WELLNESS AND SPA.